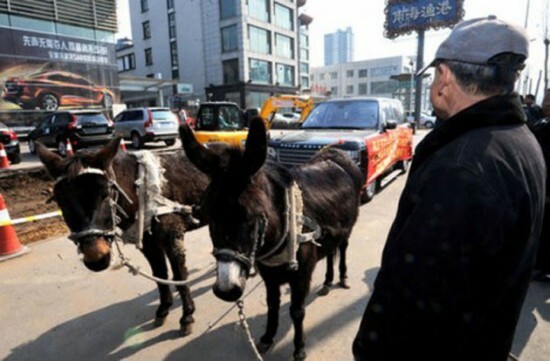 A Shenyang businessman made Chinese headlines the other day, after he used two donkeys two tow his faulty Range Rover back to the dealership, in protest. Just two weeks after another dissatisfied car owner had his Lamborghini Gallardo smashed with jackhammers, in protest of poor quality vehicles that auto companies chose to sell in China, a similar incident took place in front of a Rover dealership. 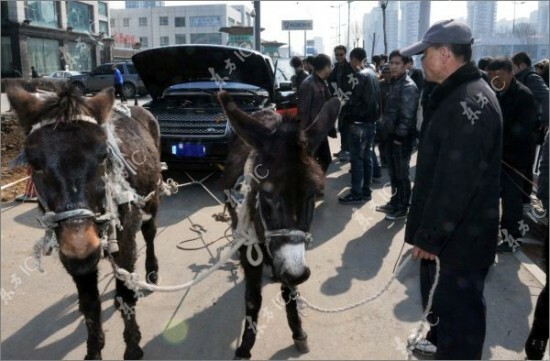 A man sick of having to repair his Range Rover every few months, rented two donkeys and had them tow his broken vehicle back to its manufacturer, and asked for a total refund. The protester bought his luxury SUV in 2010, for 2 million yuan ($304,000), and it reportedly broke down six times before he eventually had to replace the entire engine. When the car died on him for the seventh time, the angry owner felt he had to do something to send a clear message to car makers about the shady quality of their products. 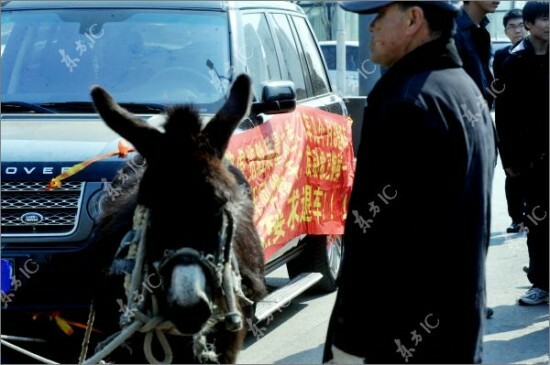 So he rented the donkeys, glued a protest banner to the SUV and towed it back to the dealership. Although his actions grabbed a lot of media attention, they weren’t enough to convince Rover to give him the total refund he asked for. They’ll probably just fix it for him, again.